Tastings and sales are available in line with our opening times. Can there be a brewery in Australia with a more beautiful location than the IronHouse Tasmanian Brewery? 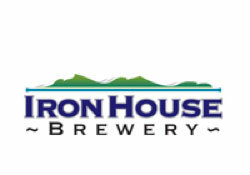 Established in 2007, the brewery is located at Iron House Point. It forms part of the White Sands Estate looking out over its own private beach across the ocean. Originally situated in a shed, the resort went through a major renovation in 2009 and the brewery moved into its new home. It now takes centre stage in White Sands' impressive main building, which also houses a restaurant, bar, shop, kids' play area and terrace, with an outdoor swimming pool completing the picture. Under the stewardship of Michael Briggs, IronHouse produces a range of traditional beers, from a quaffable lager through to a rich porter. This is embellished with the odd limited release, such as "The Hoff", a highly hopped IPA inspired by Mr Hasselhoff himself. All beers are brewed with naturally filtered water, and IronHouse Brewery is committed to brewing with Tasmanian ingredients. It sources its malted barley from Joe White Maltings in Devonport, and hops from Bushy Park in the Derwent valley near Hobart. As an extension to the success of the brewery, IronHouse Tasmanian Brewery will be commissioning a distillery in July 2015 with a dedicated Cellar Door and Tasting Room following soon afterwards. A Tasmanian take on a European classic...The Iron House Brewery Bohemian Pilsener. In keeping with tradition, simplicity reigns supreme in this Pilsener. Once a limited seasonal release, this brew has proved so popular over the years that it's now on constant rotation. The head of this brew is a dense white foam riding the pale straw coloured body. Brewed using a European Pilsener malt, backed up with a touch of wheat, giving this beer a pale yet clean on the palate finish. The Saaz hop, originating in the Czech Republic, is the champion here, giving aroma and definition found only in this style. A clean simple malt brew with an aromatic nose and a dry finish. The Iron House East Coast Pale Ale is brewed using a combination of Australian Pale and Crystal malts with generous servings of Tasmanian Galaxy and American Amarillo hops. It's a rich bronze coloured brew with a big, nutty malt taste. Combined with the sharp hop bite of the Galaxy and the classic Amarillo citrus burst towards the end, it's no wonder this beer has been crafted for 10 years in a row. Match it with sharp blue cheeses, aged cheddars and cured meats. A mixture of classic German Hefeweizen and Belgian Witbier style brew...The Iron House Brewery Wheat Beer. A Bavarian yeast is used when crafting this one, which carries a tasty hint of banana and clove on the nose. A soft, creamy mouth feel carries a flavour profile of banana, lemon citrus and spicy clove with hop characteristics, a barely perceptible influence, in the backwash. Australian Wheat and Malt create this refreshing beer, which we only filter very slightly, leaving the traditional Belgian cloud to carry the pure white lasting head. Best matched with Seafood, Lighter styled Thai curries and fresh salads. An English Ale brewed using a blend of 6, yes 6, specialty malts of which 2 which are sourced from merry old England, to give the Poms a little taste of home. Chocolate and Roasted malts give this complex and heavy mouth feel porter a rich taste of Caramels, Coffees and, of course, Chocolate. Staying with the English style, the Hops are East Kent Goldings. The full flavour and smoothness of this tasty beverage makes this Porter one of our more quaffable easy drinking dark beers. Tally Ho! Iron House Brewery's Famous London Honey Porter. A mixture of Tasmanian and English Malts, tempered with the unique taste of Leatherwood Honey. This dark and delicious brew is at its heart a traditionally styled English Porter, bold and heavy, imported English roasted chocolate malts are used as a backbone. It's a touch lighter on the palate than a stout, but at 6% ABV this brew still carries all the tones and flavour of a great dark beer. Then add Tasmanian Leatherwood Honey. Leatherwood honey, often toted as Australia's rarest and finest honey, is unique and wonderful, spicy sweet and delicious with a bouquet that is rich and fragrant. The source, ancient Leatherwood trees that grow only in the wilderness of Tassie. Together, this brew is a massive flavour hit, with a touch of bitterness...Hard to resist. This new world Australian Lager is a little unconventional in that we don't purposefully over filter this beer, crafted to allow a more full flavoured taste. Brewed using Australian Pilsener and Wheat with German Munich malts for a mild honey sweetness, the brew is lightly hopped with the classic Tasmanian Cascade for a slight floral aroma mixed with a nice crisp bitterness for a refreshing end. Great BBQ beer and the Master Brewers personal favourite. Matches well with BBQ'd meats, Nacho's and aged Gouda or soft Havarti. Adventure beer, 3% ABV Mid-strength beer, the beer for people who have just got to impress! This brew is packed full of flavour and crafted at a lower alcohol for any occasion. Places to have to be? A mid-strength craft beer built for those on the go? The DAYTRIPPER, a light mouthfeel beer craft brewed using both pilsener and wheat malts with a little cascade hop run past the kettle creating an easy to smash down brew. This American Red Ale style has been hopped with Tasmanian Ella Hops. A complex grain bill of 7 different malts have created a biscuity, earthy ale with an apricot/passionfruit hopped nose/taste, its easy to fall for. Note; fresh hops from 2017's harvest were used in this brew. Picked less than 24hrs before being brewed, these little green buds of bitterness have brought a fresh bite to the ale that has to be tasted to believe. First created in 2016 as a limited release for Winter, this massive ichor Milk Stout at 6% ABV, with a its big sweet chocolate and coffee notes was such a hit with punters, it kept coming back. The choc flavour hit is backed up with the moreish sweetness of the lactose, bringing caramels and a vanilla pod bitterness in the finish, a perfect swill for the cold winter nights, or as it seems, anytime at all.